5th wheel tractor, CLEAN TRUCK! 2 speed Rockwell transfer case. Late style Ross Power steering. Rear pintle hitch and trailer hook-ups. Cab air hook up for trailer brakes. Nice tires, spare in rack. READY TO PUT TO WORK OR PLAY !! . 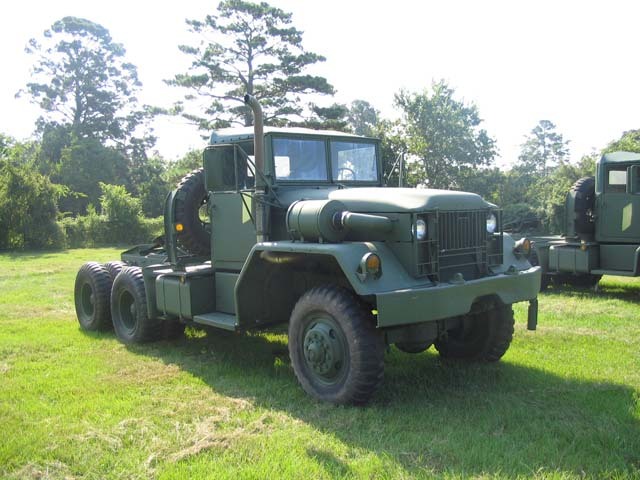 Texas Military Trucks specializes in a variety of used military vehicles for sale and used military trucks for sale. Please check back often as we are constantly adding new listings to our inventory. please inquire with us as we may just be able to help you locate your desired military vehicle.